NES Adventures of Lolo 2 (USA) in 24:10.65 by Randil & Hanzou. Adventures of Lolo 2 is the second game in the popular Lolo-series. 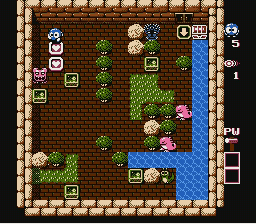 The goal in the game is to collect all hearts in every stage, and when that is done, get the ball in the chest to open the door to the next room. This run aims to beat every room as fast as possible, often by using strategies the game developers never thought about. Strategies were developed by many players, such as Bag of Magic Food, CtrlAltDestroy and of course Randil and Hanzou.